The bank is concerned about attacks on anti-corruption agencies. 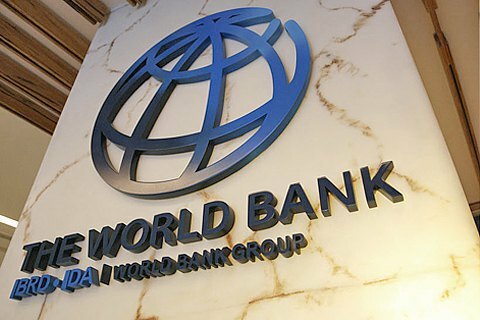 One of the main creditors of Ukraine, the World Bank, is concerned about the events around the anti-corruption bodies in Ukraine. In a statement released on Thursday, the WB stated deep concerns about the attacks on the independent anti-corruption institutions in Ukraine, in particular in the National Anti-Corruption Bureau and the Specialized Anti-Corruption Prosecutor's Office. "These attacks threaten the ability of the new anti-corruption institutions to fight corruption and return stolen assets," the bank's statement reads. "New anti-corruption bodies should have the appropriate legislative framework and resources to fulfil their mandate," added the World Bank. Earlier this week, the United States, the European Union, and the United Kingdom issued harsh statements in defence of the NABU, accusing the Prosecutor-General's Office and the SBU of interfering with the operation of the bureau. On Wednesday, a bill on the dismissal of the director of the NABU without an audit appeared in the parliament. Earlier in the day, the director of the International Monetary Fund, Christine Lagarde, demanded from the Ukrainian authorities and parliament to ensure the independence of NABU and SAP.